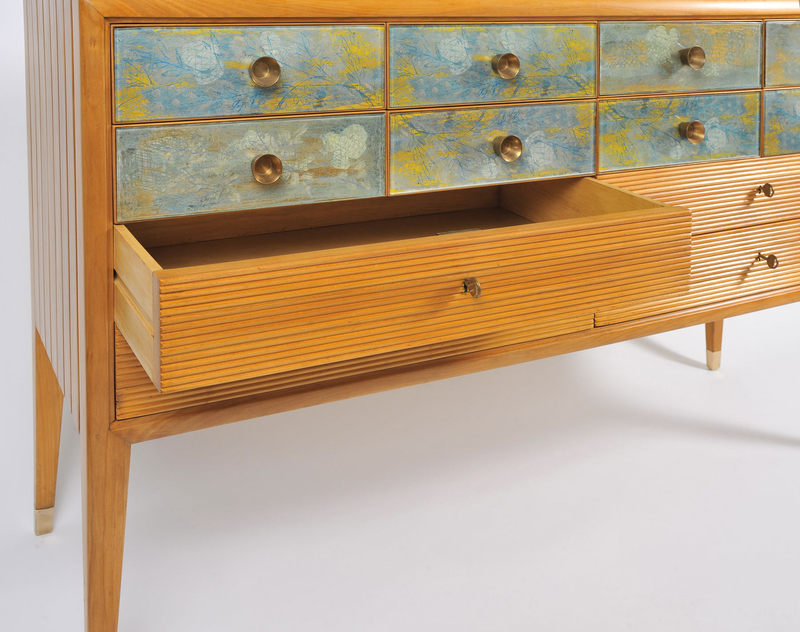 Impressive and rare 12-drawer credenza of exceptional craftsmanship and design by Osvaldo Borsani, with drawers painted by Adriano Spilimbergo. 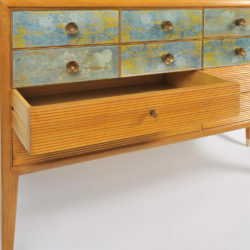 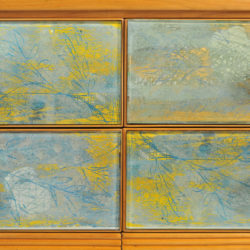 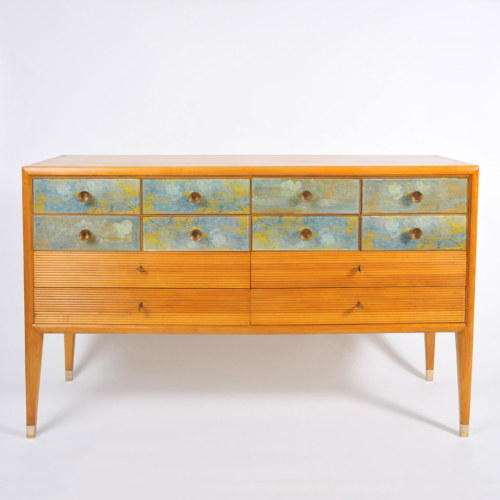 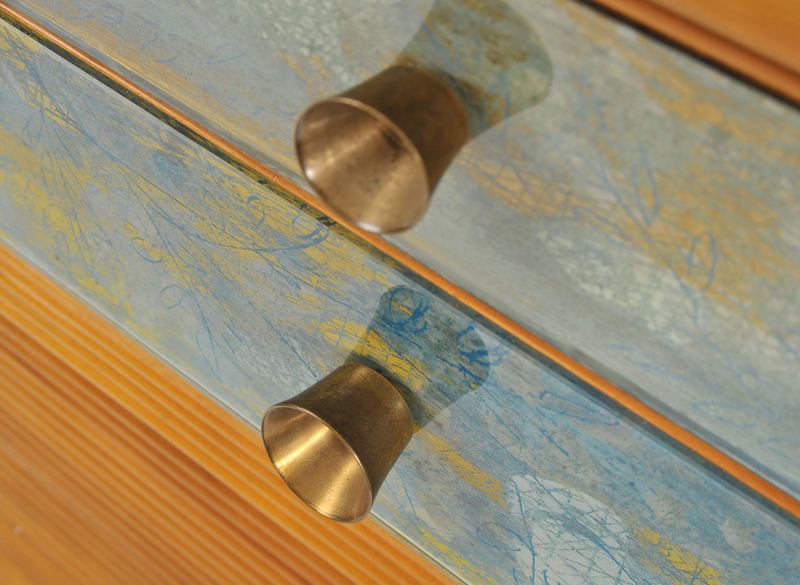 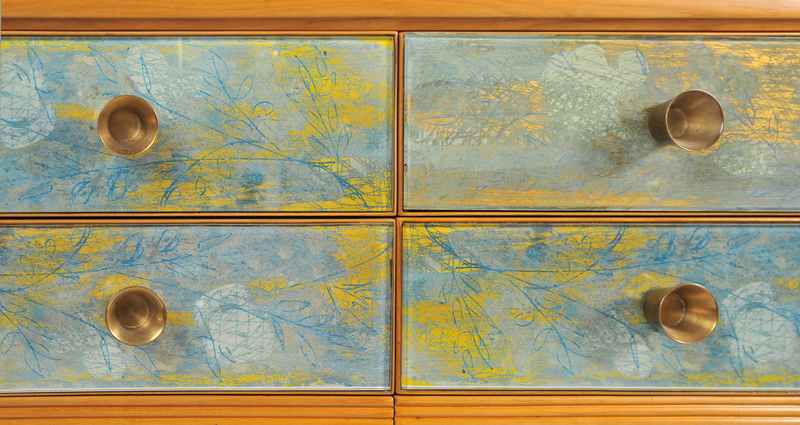 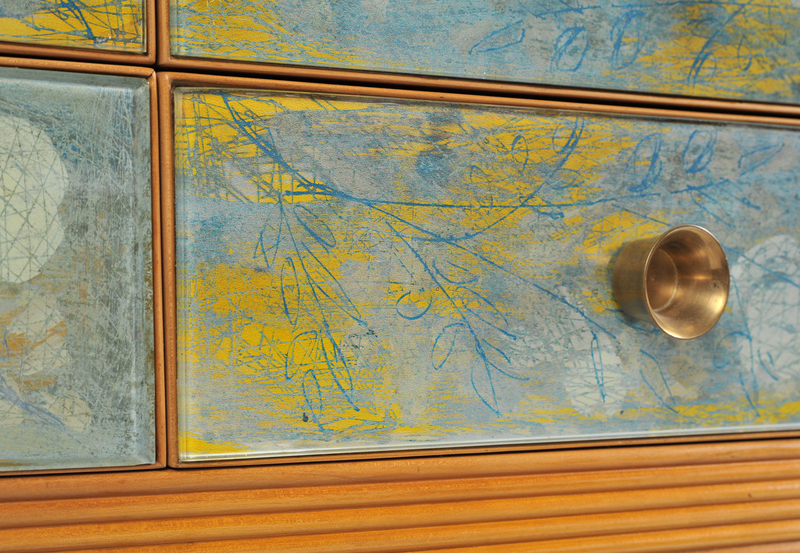 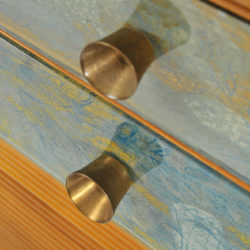 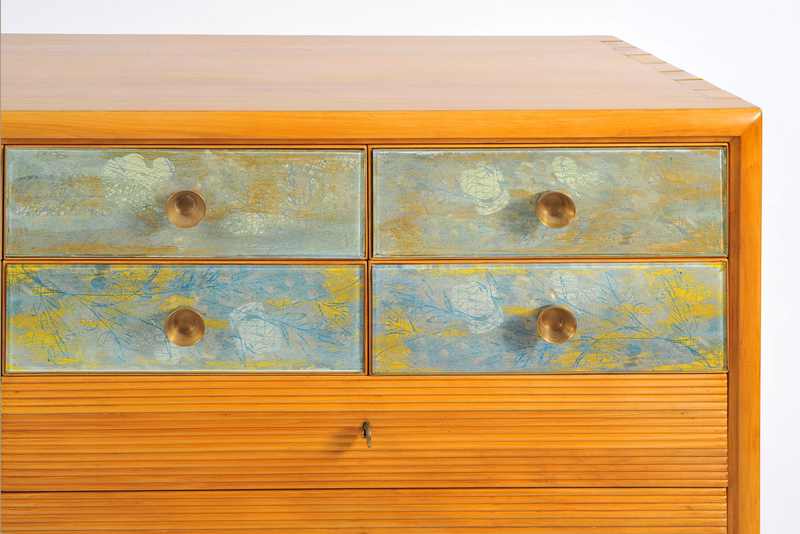 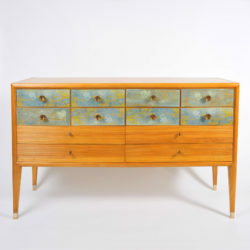 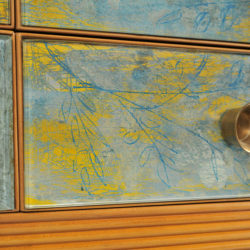 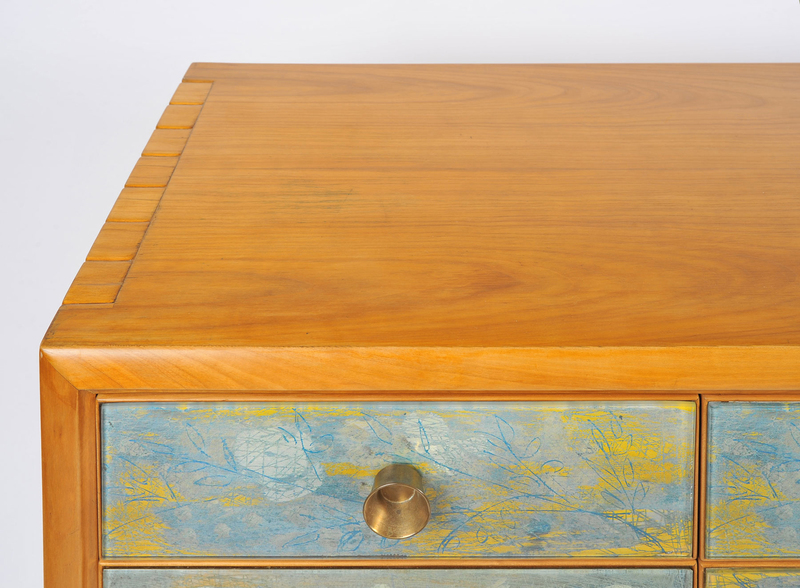 Top eight drawers are fronted with reverse-painted abstract designs in soft blues greens and gold. 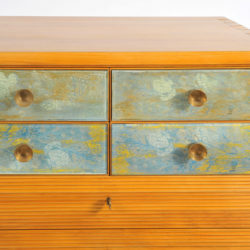 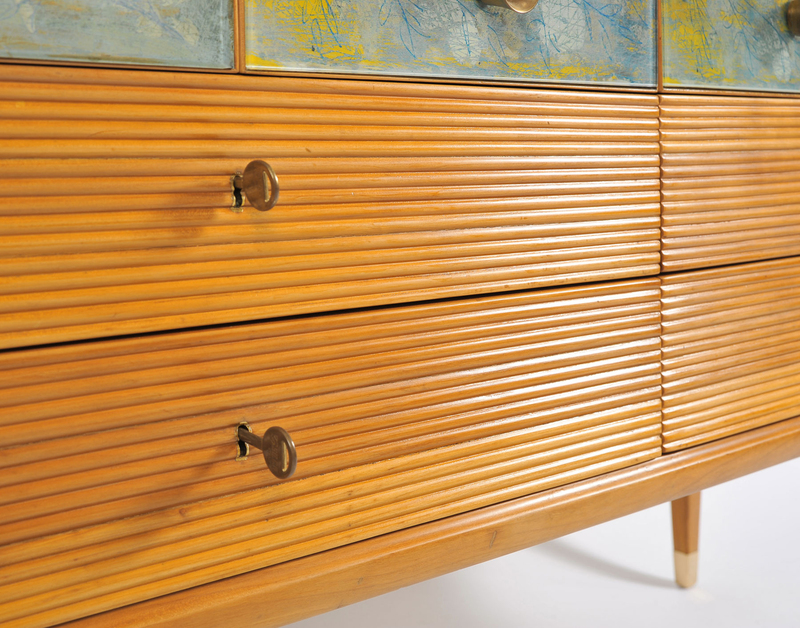 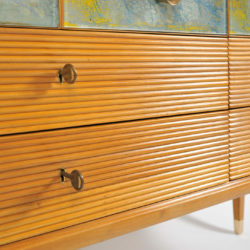 All top eight drawers have original circular brass handles. 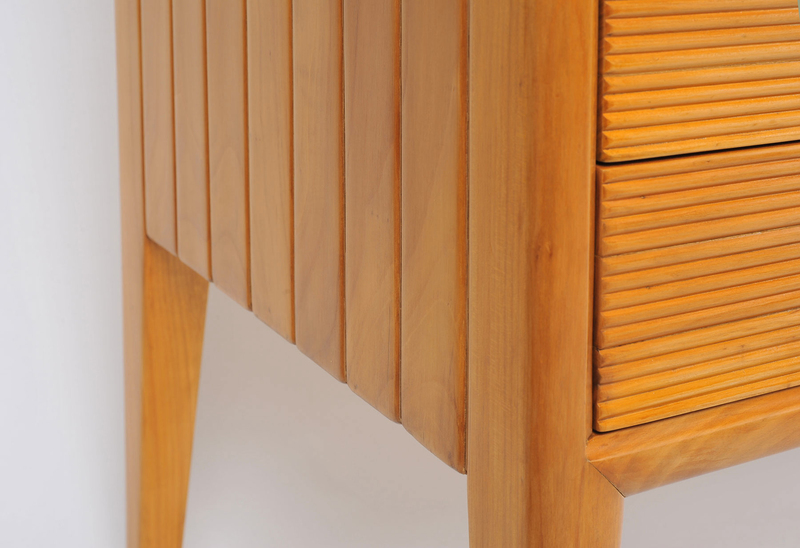 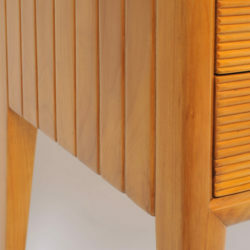 Four lower double-width drawers in rich pear wood are worked in narrow strips, each with their original key. 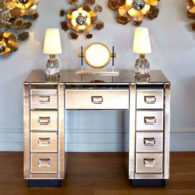 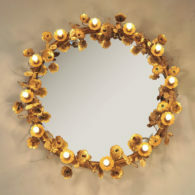 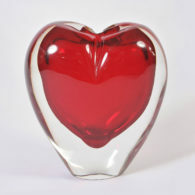 All a perfect balance to give this piece its timeless appeal. 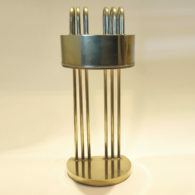 Slightly tapered legs are finished with brass 'sabots'. 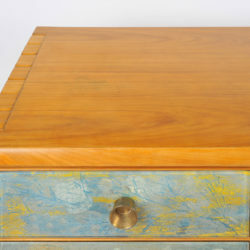 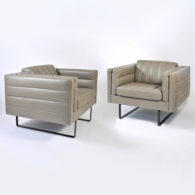 See also FC786 for matching pair of side tables.